For me, the movie How To Train Your Dragon was interesting. Not about how to train a dragon, but rather about the education of children. How come? Most people would have to watch the movie How to Train Your Dragon in theaters, but I've watched just now in a tv cable. For me this film interesting. How To Train Your Dragon is not about how to train a dragon or nurture, but rather the point is how do the children's education. Well how come? This point is in my opinion .. The main character in this film, Hiccup, the son of Stoick who became head of Berk Viking tribe, considered 'wrong' since birth. Its awkward and skinny, judged not inherit the genes of his father as the strongest and most courageous Viking. The stigma attached to adolescence, consequently Hiccup never trained to face the dragon and not invited to war. 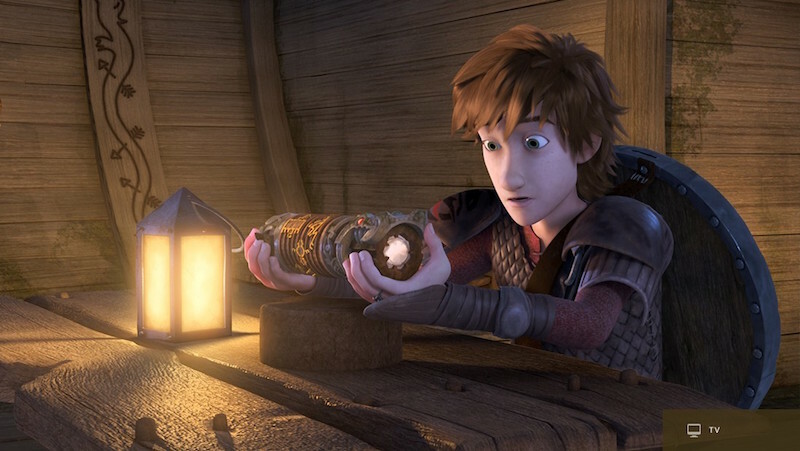 Hiccup tried to show Berk Viking tribe that he could fight the dragon, run and draw the sword when the dragon attacked his village .. but failed .. no one believes he is capable of, even his father did not believe. Hiccup has a habit of pulling, he likes notes, draw, design and create tools based on his research. That's how Hiccup learning. He was happy to do so. It never noticed the father and resident Viking Berk, because the only survival skills that are considered essential and obligatory is up against a dragon. The story then turns around, when Hiccup met a wounded dragon tail. Hiccup care, designing artificial tail for the dragon, and train it to fly. From the dragon, Hiccup learn how to face the fearful dragon like dragon eel, collapsed while being tickled his chin, allergic to grass and so forth. The little things about a dragon who has never known Berk Viking tribe. The study results were used Hiccup when finally given the chance to practice against a dragon. Since then Hiccup always visible 'proficient' dragon fight at practice and even be the best in training against the dragon. Her father be proud of not playing. The father pushed Hiccup contest 'slay the dragon' first. But what happened during the contest, Hiccup refuses to fight against the dragon. Hiccup is not happy. He wanted to show Berk Viking tribe that the dragon should be treated well. His father was angry and say shame of having a child like Hiccup. His father was very angry, decided to attack the dragon's lair, which contains thousands of dragons and a giant dragon. The situation became chaotic. At a critical point, Hiccup come rescue her father and Berk Viking forces were already in a position of urgency. That's when his father realized that his opinion wrong all along. Hiccup one considers weak. One considers Hiccup untalented. What points children's education that I learned from the movie How To Train Your Dragon? Some parents (and the environment) is too early stigmatize the child, the child is considered naughty, the child is considered lazy to learn, and so forth. So let's synchronize our students how, by learning to children .. ask her opinion, listen to, and talk about, because talent is not destiny. 0 Response to "Studying Children Education from the film How to Train Your Dragon"